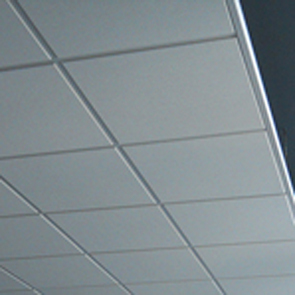 Suspended ceiling tile systems are all available from stock. These include a large range of suspended ceiling tiles . Tiles that include plain white tiles, fissured and fine fissured tiles, and a range of wipe clean suspended ceiling tiles. BMD also supply all of the suspended ceiling grid system that the tiles can be easily fitted into. And to finish off the project we also supply suspended ceiling tile insulation. This type of insulation is encapsulated in polythene bags and can be made to suit your tile size. Being encased in a bag ensure no fibres can fall through the ceiling and makes it ideal for office ceiling insulation and shop ceiling insulation. All these products are available for delivery across the UK at super low affordable prices. Please see below for more details on the suspended ceiling systems product ranges. Alternatively call our sales team for the latest best deals.